Enjoy your eggs with some kick in this Mexican-inspired dish. 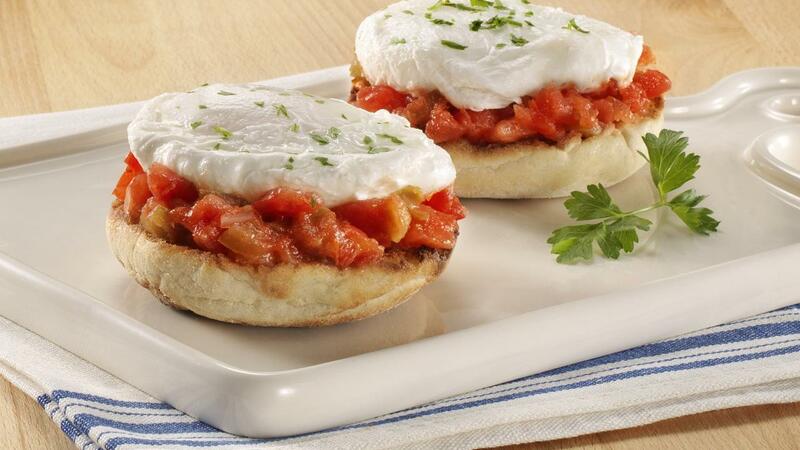 Poached eggs top toasted English muffin halves layered with salsa, and sautéed vegetables. A quick, delicious and healthy breakfast. Spray large non-stick skillet with cooking spray. Heat skillet over medium-high heat. Add mushrooms; cook, stirring frequently, until soft. Lower heat to medium; add pepper and onion. Cook until onion is translucent. Spread 2 tbsp (30 mL) salsa on each English muffin half. Top each with equal amount of mushroom mixture and one poached egg. Garnish with additional salsa and/or parsley, if desired.